Unless you already live out of your vehicle, long distance moving can cost a pretty penny! The total may add up in unexpected ways, so you’ll have to get crafty to cut costs. Don’t let your budget keep you from relocating for better opportunities, though. Families move all the time, so you can handle this. 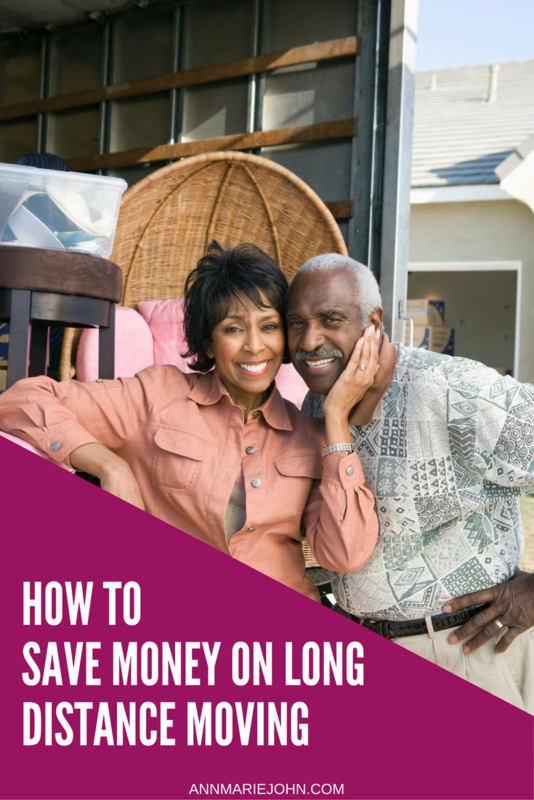 Here are a few ways to save money on long distance moving. You have a couple of options as far as how to get everything you own from one place to the other. Whether you go with a portable storage unit, like PODS, rent a moving truck and do it yourself, or hire a moving company to relocate your possessions for you, the decision depends on how much you need to transport and your moving budget. If you go with PODS, the company will deliver the storage container to you. You pack it and then they return to pick it up. You get as much time as you need and pay per month just as you would for a traditional storage unit. They’ll move the unit from one city to another and will even store it at a facility in the new city, if you want them to. Otherwise, they’ll deliver it, you’ll empty it, and they’ll return to pick it back up. The entire process is pretty simple and inexpensive, but it’s up to you to pack the container properly to avoid damages in transit. This also isn’t a great option if you have a whole lot of stuff, because of the three sizes to choose from, a 16-foot container is the largest. It typically holds 3 to 4 rooms’ worth of furniture and boxes. If you rent a truck and handle the entire process yourself, remember to calculate gas, food and additional hotel stays you may not have had to pay for if you had a company transport your belongings for you. You’ll be charged based on the size of the truck you rent, the distance you’ll be going, and the amount of time you’ll have the truck. Insurance is extra. With this option, you have the ability to tow your vehicle and move it right along with everything else, but you’ll need to feel confident driving one of these trucks. Keep in mind that the cab will only hold two to three people. If you’re moving a family, this may not be the best option. Your final and most expensive option is to hire a professional moving company to get your items from Point A to Point B. It may be the least stressful option, seeing as it’s completely hands-off, but be sure to read reviews and get quotes from more than one company. Be warned: You’ll pay an increased rate for every little piece of packing material they have to supply, but if you don’t let them pack your things, they won’t be held responsible if anything gets broken. Invest wisely in packing materials. If you fail to properly protect your belongings and they break, you’ll not only have to pay to replace these things, but you will have paid to move something that’s no longer useable. This is more of a waste of money than you might think purchasing the right packing supplies will be. Bubble wrap is a lifesaver, but it’s expensive, so start saving (and collecting from friends and family) from packages you receive. Television packing kits (boxes and cushioning materials) are a great investment. Wrap furniture and fragile items, like mirrors and large framed art, in blankets and towels you already have in your linen closet, and tape around them to keep the fabric secure. The less you move, the less it will cost you! 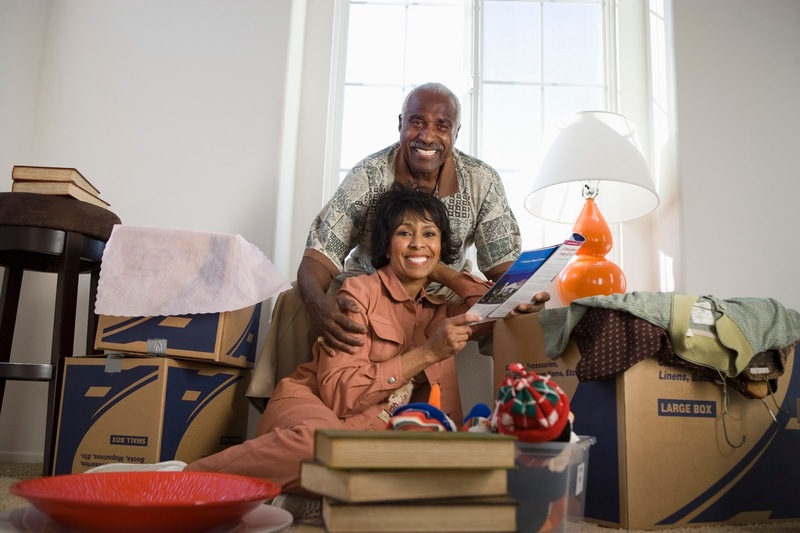 Everything you have to move will cost you money, be it in fuel, packing supplies, or even just time spent handling it! Selling what you can in advance will put cash in your pocket. Have a garage sale, post items to Facebook for sale groups and Craigslist, and if you’re savvy, head to Ebay. Don’t sell things you’re going to have to immediately replace as soon as you get where you’re going, especially if they are expensive. Consider selling your car, especially if you have more than one, and it isn’t a new vehicle anyway. Having a vehicle transported can be costly. The price of gas and wear and tear will add up if you drive it yourself. Will you need it in your new city? Can you get a lot of money for it right now? Were you planning to sell it or trade it in soon anyway? Take the time of year into account. Moving over the summer is going to cost you more. It’s when hotels and gas come at a higher cost, due to summer vacations, and it’s when most families relocate so they don’t disrupt their children’s lives mid-school year. Can you move at any other time? If not, use membership clubs like AAA, and reward points from credit cards or other programs to save on hotel stays. For help with every stage of your move, including tips, tools, resources and special offers to help you along the way, visit Allstate. Nothing worse than moving in my opinion! Unfortunately with 2 kids - the less you move the less it costs doesn't apply. Always cost us a small fortune to move. Thank you for sharing your tips, I will have to keep this post in mind next time we move! I've never had a big move like this before, but this is such a helpful read if I ever do in the future. There are lots of important things to consider! 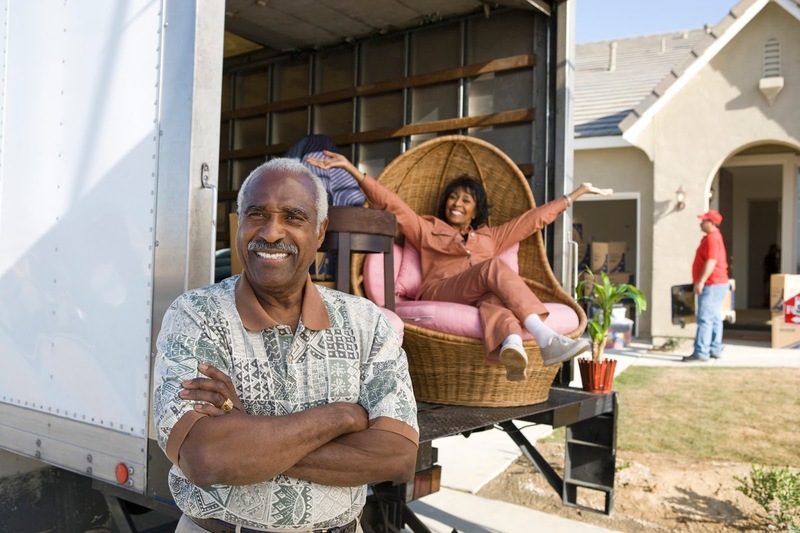 This is great advice, moving home is very costly even if it's just moving a short distance. I know because I'm currently going through that process! I reduced the amount of possession I had before moving, it definitely helped a lot. I live in Los Angeles and I moved here from New York. I moved by taking an airplane and two very large suitcases and that was it. Of course I was young and nothing I had seemed worth the cost of moving. As a kid, we moved a long distance twice and hired a moving company. But the moving company the second time lost some of our boxes, so there are pros and cons with everything. Of course, this was before Yelp when you could easily learn the reputation of a company. I never knew it was more expensive to move during summer! I haven't had to move a long distance, however I can imagine it would be very expensive! We moved five years ago about 150 miles away, and we utilized all your tips. The biggest thing was downsizing. Getting rid of stuff felt good! I had a temporary move about two years ago. Moving can be such a pain. Anything that makes moving easier and saves me money is all right by me! I am going to be moving in a few weeks, so this post came just in time. We also repurpose towels and old sheets to move fragile items. Newspaper also works well to wrap up things like glasses. It saves time and money and cheaper than bubblewrap for sure! Moving can be exciting,but there can be a lot of decisions that follow after. I agree the less you move the less expensive it will be, but if your are moving just makes sure you have all the pieces of information you need first. Tips are superb !! Investing wisely in packing materials is very important. This is such a helpful post. I was thinking of moving to a new country again and I think these tips will help. It's going to be so stressful so this will surely be something I will deal with. Such a great tips and I will keep this in my mind we're planning to move in soon glad you share this tips. Moving is huge! Moving to another country is like a different kind of feat. Whenever we move we always try and get rid of as much as possible and move just a few boxes. 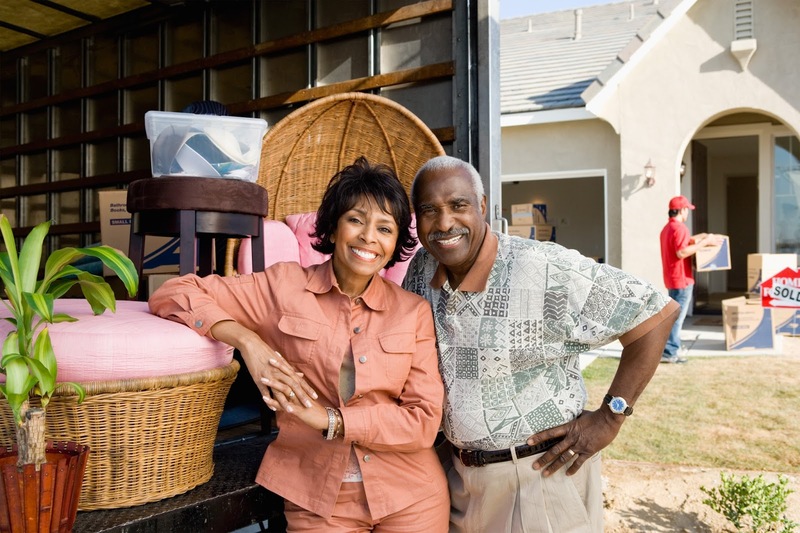 These are great tips for moving! I am not looking fprward to any large move because we have many rooms of, well, stuff. Tis was a good reminder of the scope of this big endeavor. These are such great tips. Long distance moving can cost you an arm and a leg, especially if you hire movers and don't do it yourself. These tips are ah-mazing! We moved several, several states away, and the cost was absolutely astronomical. The cost physically hurt me. These are some great tips. I am so thankful we have been in the same place for quite some time. Moving a long distance can be really hard. These are great tips for making the move with the least hassle. Moving can be so stressful! Planning ahead and having some great advice like this can be so helpful and help reduce the stress! Great tips. Moving locally is huge, I can't imagine moving long distance. Glad companies like Allstate are around to help. Ugh - I hate moving!! I do think your tips will help lots of people who have no choice but to move though. Kind of wish I had known some of this before my last move! I've made a handful some long distance moves in my life. Reducing the number of things you have to move definitely helps. These are awesome tips. My sister in law just moved two states away and I bet she could have saved a lot more by using your tips. Wonderful tips! I'm happy I've never had to move long distance, but have many friends who have and the expense of doing so was very surprising to me! Interesting tips. I would never have even thought of PODS as a moving option. I know myself having had to move just one town over a few years back, I was obsessive with packing and wrapping everything! I am the world's worst mover! If I ever make a big move, I will follow your advice! I remember when I was looking into long distance moving. I definitely was looking into the PODS as a moving method. I suppose everything has it drawbacks. But this is a great post about getting ready and what you need to think about. I have never moved long distance, but it seems it would be such a headache. I think using the Pods is a smart idea. That's a lot of great tips! We haven't moved in a while but it's awesome to know what to do to save some extra cash especially if you're on a budget after buying a new house. I think it's always important to declutter first so you can have less things that needs to be taken with you to your new home. I agree with all of these tips. These are really helpful tips! We are not moving soon but I think these tips would be helpful for my friends! Thanks for sharing! superb tips to make that move, i love this and your pictures says a lot of good things along with love and affection. nice one from here. These are great tips! We have moved long distance a few times, and these idea are right on! It can be so expensive to move. You don't think about how much boxes and packing materials cost. It all adds up quickly especially food for everyone and gas while in transit. Moving is definitely hard, but moving a long distance is even worse! These are some great tips! Thanks for sharing. It can definitely get expensive even when just moving a short distance. My husband and I moved from PA to MO a couple of years ago and we only spent about $350 including gas. It took two weeks of planning but it was worth it! You have given very good advice. We haven't moved in years, but my husband and I are thinking of downsizing once the kids are all done with college. I will have to keep these tips in mind if and when plans push through. These are all wonderful tips and will keep them in hand when I move next year. I just moved from another country this year and it was just a long day of travel. I had eight suitcases, my cat and carry on. Moving even a short distance can be so stressful. It's so important to have a plan in place when planning a big move like this. Thanks for these tips. We've stayed put for the longest time and we have no plans of moving in the near future. However, I do think you've provided very good advice you provided in this post. I will bookmark this and share it with friends and family I know who are considering a move. Oh, how I needed this! I've moved cross country twice! Insanity. I think we're staying here for awhile, but you really never know. The time of year is super important. We moved in October, thinking we were safe from bad weather but hit blizzard conditions in the Rockies. Moving can be really stressful! We are planning to move again pretty soon and these tips is very handy! Moving is never easy, so any suggestions on how to simplify the process are always appreciated. I have actually lived in the same city all my life, but if I ever venture a long distance, I will definitely be using both storage containers and professional movers! With the job environment as it is, I have a lot of friends that move cross country and it's really hard on the pockets so every little bit helps to avoid having to sell everything and start over. I wish i had all these tips when i moved many years ago, it was one one experience i will never like to re-live. Thanks for sharing this. I just like the valuable information you provide to your articles. I will bookmark your blog and take a look at again right here frequently.